It’s likely you have poured considerable money and time into your business. You’ve taken the steps required to make your car wash successful by training your staff, using the best technology on the market, keeping your facilities in great shape and, most importantly, keeping your customers happy. Eventually, you’ll probably want to cash in on your achievements and sell your business. Whether you’re running a hand car wash or an automated operation, this is a sector with a relatively straightforward business model. Therefore buyers needn’t have specialist qualifications or experience in the trade, broadening the pool of prospective buyers. It also makes the transfer of ownership a less complicated process. What’s your car wash worth? Your goal as a seller is to boost the value of your business, maximise the sale price and, perhaps, accept an offer only from a buyer you trust will continue your hard work. However, your priorities will differ from those of the buyer, who will want to get as much for their money as they can. The value of your car wash depends on the business itself and how well it has been run, the state of the market and economy at the time of sale and the amount that potential buyers are willing to pay. Advancements in technology are simplifying the car-washing process, making it faster, more convenient and more reliable. If your business has the latest cutting-edge cleaning systems then this is worth flagging to any interested parties. 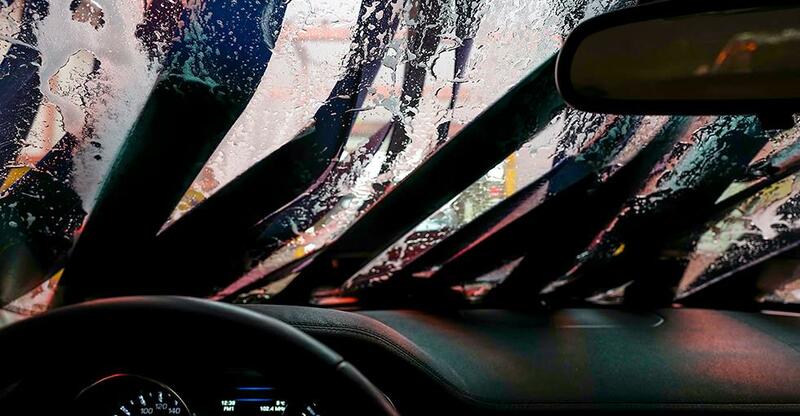 Conserving water has become a major concern in South Africa, so environmentally responsible car wash businesses are also an attractive option for buyers. Larger carwashes with ample customer parking often provide more services for their clientele, such as body shop work, detailing, polishing and valeting. So it goes without saying that this type of carwash will sell for more money than one that just provides car washing. It’s also worth flagging to buyers that the car wash industry has great growth potential due to the increasing number of vehicles on the road. Getting a realistic valuation is crucial, yet it’s not always easy to achieve. It is recommended that you get your business valued by a professional business broker to ensure you get the maximum price possible. Many successful business owners have an exit strategy planned from day one. If you have a solid plan in place your sale could not only be profitable but also fairly painless. The average time it takes to sell a business is 12-18 months and while businesses can be sold more quickly, a rushed sale often results in unfavourable terms for the seller. Instead, take your time and determine what you want to get out of the sale before you put the business on the market. Just because you’re selling your car wash doesn’t mean that you should start winding down in anticipation of the sale. Potential buyers will want to see that your business is busy, successful and growing. This is where the help of a business broker is invaluable, as it frees you up to concentrate on running the business. We all know that first impressions count. Invest some time in getting your car wash clean and tidy. This will make your business more appealing to buyers and customers alike, keeping profits rolling in until the final sale agreement is signed. Be prepared for the due diligence process. The buyer will want to examine every part of your business with a fine-tooth comb, so the more organised you are, the quicker you can provide documentation and information when requested. Finding the most effective channel to list your business is crucial to how quickly you can make a sale and what price you achieve. It’s also important to keep your sale confidential to avoid any negative fallout from your staff, suppliers and customers. Employing the services of a broker can ease your workload and allow you to effectively and discreetly market your business through blind advertising. You can get a higher price if you can prove to buyers that their return on investment (ROI) will be strong, the levels of risk low and you can provide convincing answers to their enquiries. Perhaps you can show buyers that your business is stable (strong, steady profits over a long period), growing (growing revenues over a given period) or has room for growth (perhaps nearby competitors have recently closed down or you’ve recently invested in new equipment that will speed up turnover of customers). Show buyers your documented processes and systems. What are your sales like? How much profit are you making? How busy are you compared to other car washes in the area? How many customers do you serve per hour and how does this compare to other car washes in the area? Are you based in a favourable location – ie a busy main road? How easily could new owners understand the business? What teething problems might there be in the transfer to new ownership?